Excel has some very effective ways to deal with duplicate values. Highlighting duplicates is one such feature. We can easily highlight duplicate values using conditional formatting and the COUNTIF function. In this tutorial, we will learn how to highlight duplicate values in Excel. Here, we are using conditional formatting to highlight the duplicate values. The function in use is COUNTIF. The COUNTIF function counts the occurrence of each value in the range. 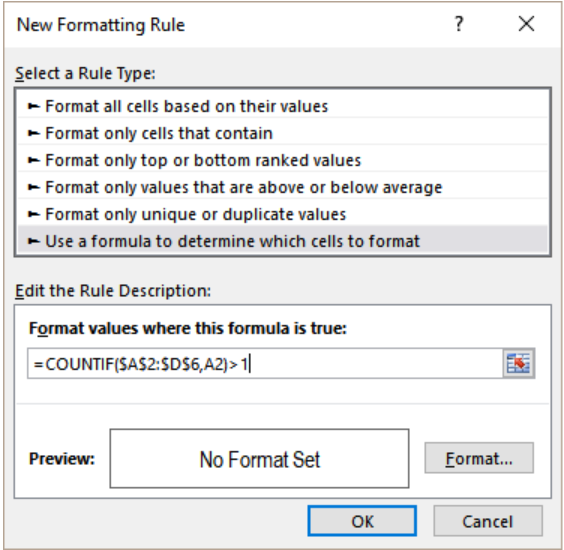 If a value exists more than once, COUNTIF returns TRUE and invokes the formatting rule. .
We use conditional formatting to highlight the cells. Conditional formatting has some preset rules. Still, we are using a custom formula for more flexibility. Excel evaluates the formula used in conditional formatting. It evaluates the formula relative to the cell that is active. This evaluation is done in the selection of the time the rule was created. We are using COUNTIF in the range with an absolute address. But the first cell is relative. Therefore, the range remains unchanged. But, the relative cell A1 changes for each iteration. The following example contains a temperature database during the weekdays of December. Columns A, B, C and D has the name of the winners for each week. 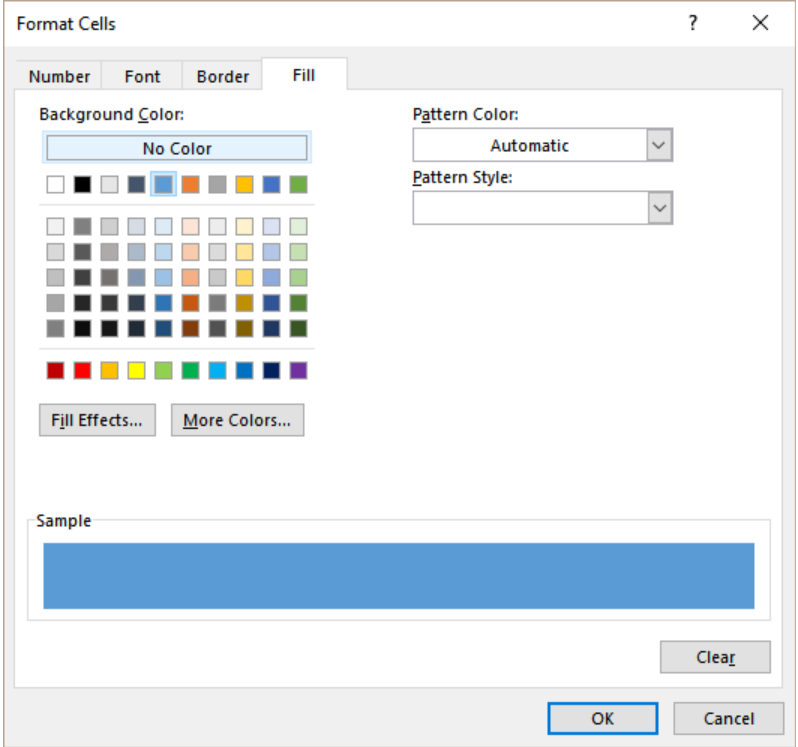 Select cells A2 to D6 with your mouse. 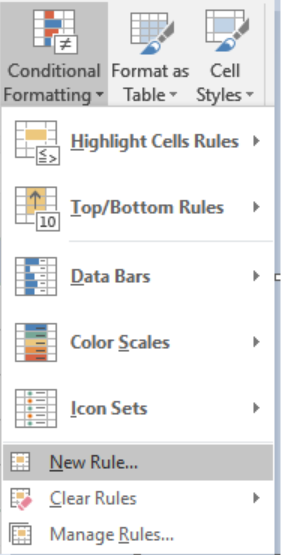 From the home tab in the ribbon, go to Conditional Formatting > New Rule. Click on Use a formula to determine which cells to format. In the Format values where this formula is true box, we need to assign the formula =COUNTIF ($A$2:$D$6,A2)>1. Then, we have to click on the Format tab beside the preview box. Go to Fill>Background Color and set it to the color you want to highlight to. Click Ok. This will redirect us back to the previous formula box. We need to click Ok for the last time. This will highlight the duplicate cells containing the temperatures 9,10 and 13 in columns A to D.
I am unable to highlight duplicate values from two columns.